A new cross-curricular series full of exciting creative ideas and activities. Each set of activities is based around a colourful in-class display to create with students. Each CD-ROM provides Interactive Whiteboard Presentations supporting each Create and Display Lesson. 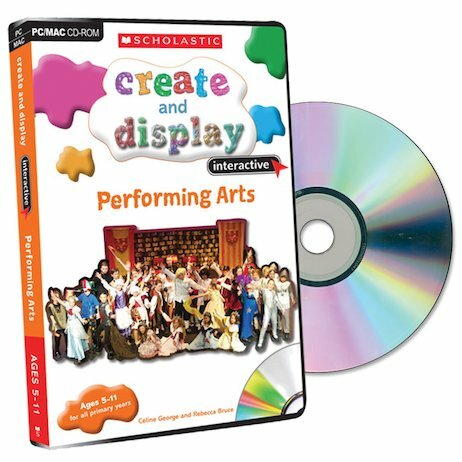 * Each CD-ROM contains a large number of creative and display-related activities to support learning and enliven teaching. * Each activity has Cross-curricular links and extensions to follow on from the detailed teaching guidance, and cover the entire curriculum from PE to Food Tech, D&T to Literacy, Music to Science, Geography to PSHE. * Designed to work alongside the Teacher’s Book in structuring and supporting creative lessons and teaching. * Software allows creatinon of IWB presentations of your children’as artwork!